The decision was taken after an examination by the health authorities found that the operators have failed to comply with standards under Section 11 of the Food Act 1983. 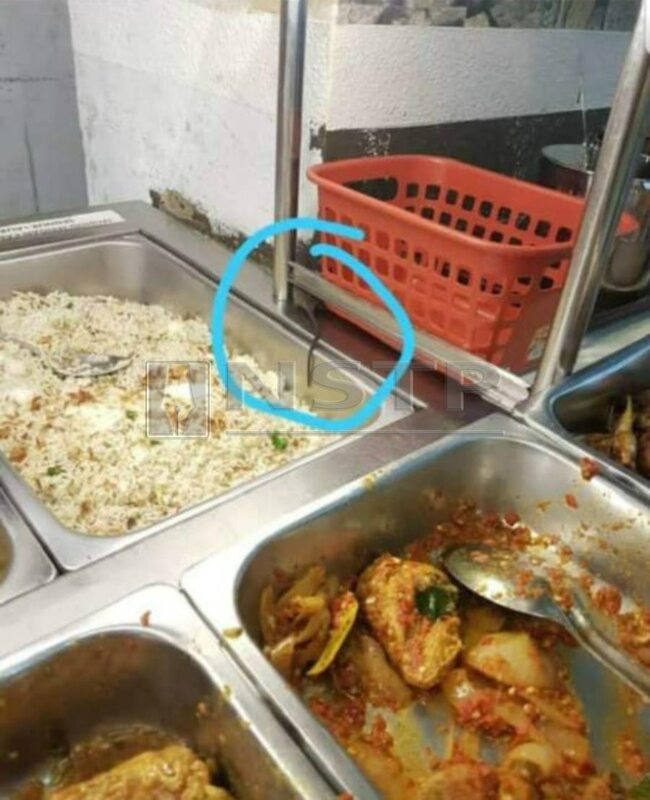 "An order to close the SIH canteen was issued to enable thorough cleaning to be carried out," Johor Health Department director Dr Selahuddeen Abd Aziz told Bernama. "The canteen will be allowed to reopen only when hygiene standards and the stipulated conditions are met." However, it is not clear when the photo was taken. He added that the Johor Health Department (JHD) and the Sultan Ismail Hospital (SIH) take food hygiene and safety issues seriously, reported Bernama.